I was chilled out on Valium when it happened, but I remember distinctly that everything went very blurry, almost black, when a laser sliced a flap from the front of each one of my eyeballs near the crux of the LASIK corrective vision procedure earlier this month. It was unnerving to stare at the ceiling of the surgery room but no longer be able to see it. Birders are well attuned to their sight. By the time my interest in birds coalesced in the fifth grade, I was already wearing glasses full time. When I first learned to use binoculars, I had trouble seeing the entire field of view, so I learned to whip the frames off my face with one hand while simultaneously lifting optics with the other. Glasses were irritating. They constantly fogged up, got scratched, and got lost. After a decade of struggling with glasses, I reached my limit on a spray-drenched pelagic trip off the Oregon coast. So much salt kept crusting my lenses that I broke one of them trying to wipe it clean for the hundredth time, and ended up staring at blurry specks instead of albatrosses for the rest of the afternoon. Enough was enough; I got contacts. But even contacts cramped my adventurous style. I had to put them in every morning and take them out each evening, and remember them on trips. When I spent a summer in a remote Antarctic field camp, contact solution filled half my tiny suitcase, and I had to stuff bottles of it inside my sleeping bag to prevent the stuff from freezing at night. I hiked the entire 2,650-mile Pacific Crest Trail last summer while packing contacts, and, though I got pretty good at jabbing the delicate lenses in my eyes with dirty fingers each morning while using a flashlight to illuminate the mirrored back of my iPod inside my tent, I dreamed of perfect vision. Well, that dream is attainable these days—for a few thousand dollars. After years of contacts, I went for LASIK. It’s a relatively quick, laser-assisted procedure to reshape the corneas of the eyes so that they focus better and provide clearer vision. For me, it’s been a mixed experience. Before the procedure, my corrected vision was near 20/10. A month afterward, it’s blurry at 20/20. That’s a big difference, especially when you’re trying to pick out field marks on shorebirds a half mile away. Everyone reacts differently, and some patients take a long time to stabilize—I’m still seeing halos around lights after dark—so my vision might still improve further, but, meanwhile, I’ve been pondering the implications of eyesight for birding. What’s the difference between 20/10 and 20/20 vision? 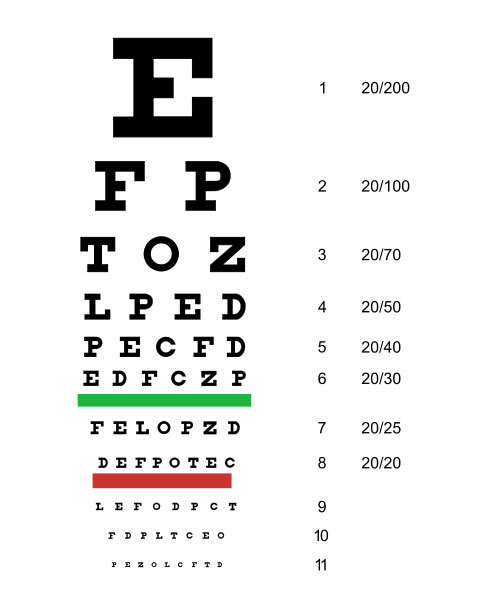 A 20/10 person can see from 20 feet what an average 20/20 person can see from 10 feet. Those two people can be looking at the same bird and see the same field marks while one is standing 20 feet away and the other is twice as close. 20/20 is average, and many people see in the 20/10 to 20/15 range (the limit of human sight is about 20/8). But that means that 50% of our population is on the other, blurrier tail of the curve. Next time you’re in the field, take a look around: Many birders are physically seeing a significantly different world than you are. These numbers might seem like splitting hairs, but acute vision matters for birders who are forever straining to spot minute differences in plumage and nuance. Eagle-eyed sight gives a real edge to those blessed with it. One study of professional baseball players found that the average major leaguer has 20/12 vision, and suggested that 20/20 is just not good enough to recognize the path of a fastball in time to decide whether or not to swing at it. I wonder if some birders are quicker than others simply because they have better eyesight. Of course, vision doesn’t affect birding by ear. I do about 70% of my birding by sound alone. 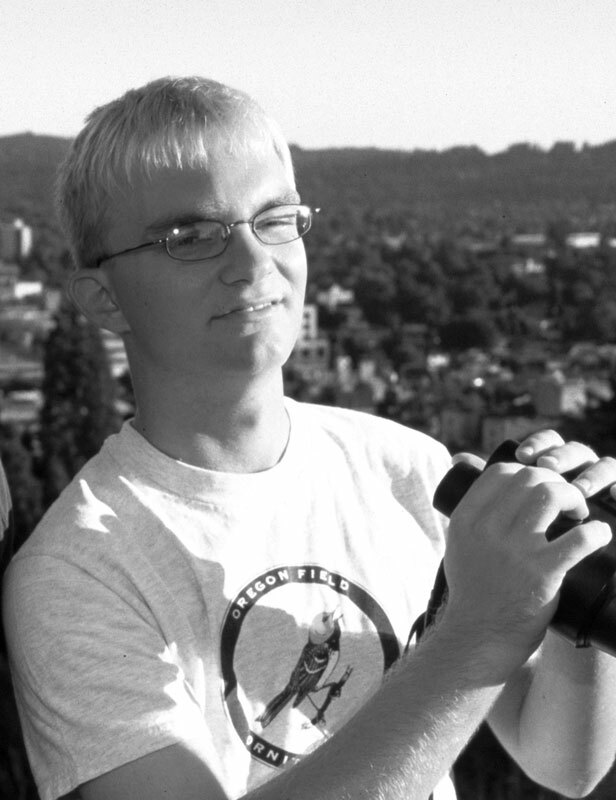 Birders with below-average sight might compensate by paying more attention to auditory clues. And small differences in vision probably don’t much affect the view through binoculars or a scope, which effectively bring birds right into the foreground. Post-LASIK, I haven’t noticed a huge difference in birding. I can pick out Semipalmated Sandpipers, Willow Flycatchers, and Vaux’s Swifts just as well as ever. But I occasionally can’t quite sort out little specks, like distant raptors, as clearly as before, and I sometimes go for my spotting scope sooner. On a recent camping trip, though, it was thrilling that after I went to bed I could see … the stars! I’m not complaining. LASIK has freed me from a lifetime of glasses and contacts. And that, my friend, is so uplifting that it could be a MasterCard commercial. Spotting a lifer with your own two eyeballs: Priceless.